Many people are concerned with their yellowing teeth. Sometimes discoloration is a result of age, but it can also happen after eating certain foods, drinking coffee or tea, and tobacco use. Fortunately, we have a way to brighten your smile! Our team at Palola Dental provides teeth whitening treatment for our patients interested in renewing their glowing smiles. If you are in the Mililani and Waipahu area, our office has a remedy for your situation. Foods and Beverages: Consuming foods and drinks with dark pigments can have a negative effect on the color of your teeth. This is especially true if you drink wine, soda, tea, coffee, or fruit juices on a regular basis. Tobacco: It doesn’t matter if you are smoking or chewing tobacco; both habits are a leading cause of tooth staining and discoloration. Tobacco changes the shade of your teeth, darkening or staining them over time. Fluorosis: If a patient has been overexposed to fluoride while the teeth are still developing, yellow or gray discoloration can occur. Medications: Several medications have been proven to cause discoloration of the teeth, especially after using the same medication for a long period of time. Aging: As you get older, your teeth will naturally dull in brightness and shade. If your teeth have been stained or discolored and you would like to brighten your smile, come on over to Palola Dental! We are happy to offer professional teeth whitening treatments to give you the brilliant smile you’ve been waiting for. Our team is familiar with both KOR and Opalescence teeth whitening treatments. We can help you decide which treatment is best for you, and we are excited to help you get a bright, beautiful smile! 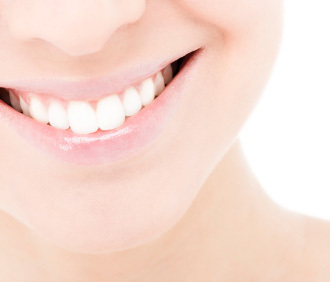 If you would like more information about our teeth whitening in Mililani and Waipahu, contact us today. To schedule an appointment with your Waipahu dentist, we hope you’ll give us a call at (808) 678-3000. We can’t wait to talk to you about getting your brilliant, confident smile back!